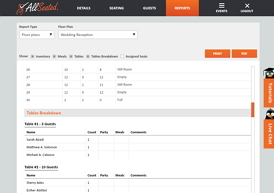 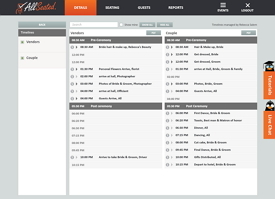 Auto-generated reports for your event including your floorplan, seating chart, guest list and all other crucial details to keep everyone informed. 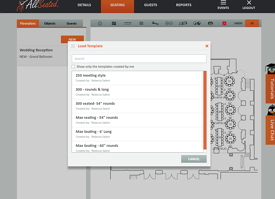 AllSeated allows you to save multiple templates so that the next time you do a floorplan, your work time is cut in half. 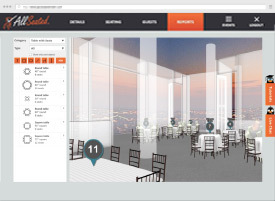 See your floorplans and seating charts come to life in 3D using AllSeated’s 3D magic tools.